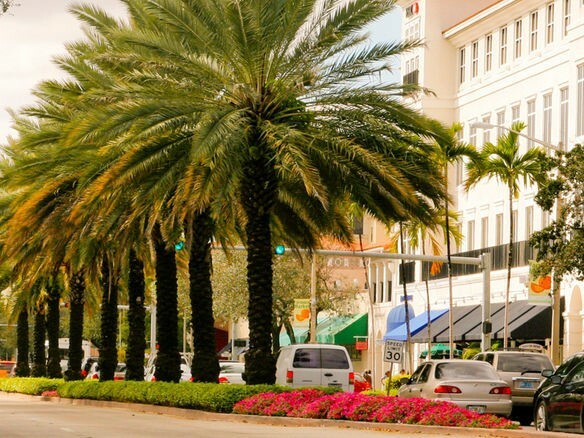 Coral Gables Florida is a beautiful city in the Miami Metro area, located about eight miles southwest of downtown Miami. Locals refer to their town as "The Gables". 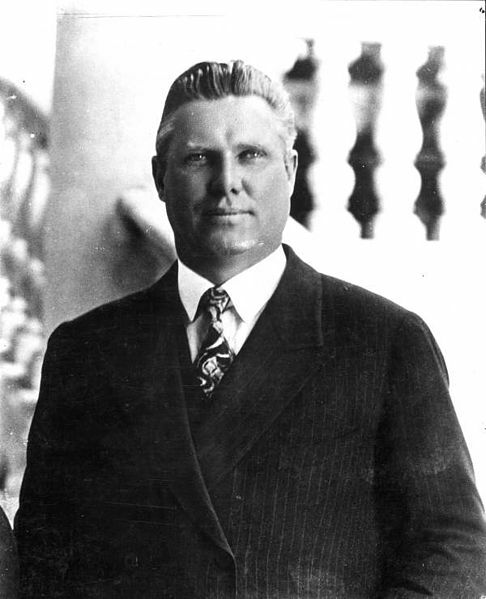 The city was developed by George Merrick during the Florida land boom of the 1920s. He had inherited citrus groves from his father, and in 1922 began to develop the acreage into the City of Coral Gables. Merrick was a writer and poet among many other accomplishments. In the flood of the rays from on high..."
The Gables was one of the first planned communities in America. It has strict architectural and zoning regulations. The city's architecture is almost entirely Mediterranean Revival Style. By 1926, the city covered 10,000 acres and had brought in over $150 million in sales with over $100 million spent on development. The centerpiece of the community was the massive Biltmore Hotel. 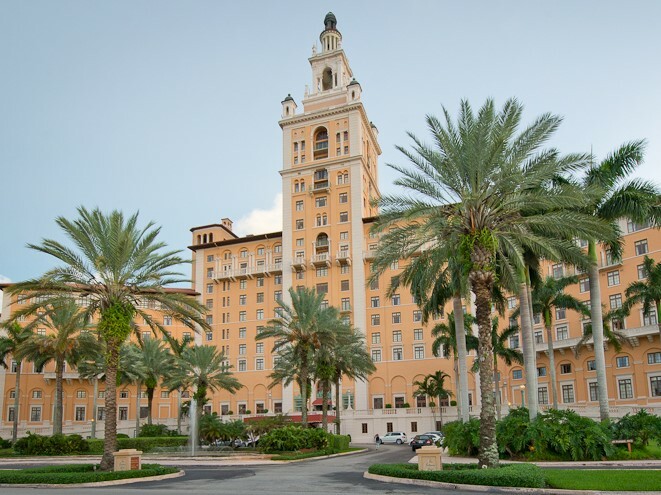 It still stands as an upscale luxury hotel in the heart of the Miami Metro area, and is a large part of the ambiance of Coral Gables. Merrick designed the downtown commercial district to be only four blocks wide and more than two miles long. The main artery bisected the business district. He was proud to say that every business in town was less than a two-block walk. The city used to have an old electric trolley system, and today it has a modern trolley bus that runs down Ponce de León Boulevard. Merrick donated 240 acres for the University of Miami. The university is just west of U.S.-1 about 2 miles south of downtown. The great hurricanes of the late 1920's and the Great Depression ruined Merrick financially, but he lived long enough to see most of his dream come true. Today The Gables has about 42,000 people. The Gables is a pedestrian-friendly community with many upscale retailers and restaurants along Coral Way, known as the "Miracle Mile". The photograph to the right is the heart of the downtown area near Miracle Mile and Ponce de Leon Boulevard. It has about 140 restaurants, and many famous stores including Nordstrom's. The town is located only 4 miles south of Miami International Airport. It is one of the most beautiful towns in Florida. Among its beautiful and historic landmarks are the Venetian Pool, Douglas Entrance, the Biltmore Hotel and hundreds of fine residences. There are many places to stay in The Gables and the surrounding area. I'll just focus on a couple of them. Biltmore, 1200 Anastasia Avenue. Tel: 305-445-8066 Ext. 4306. This is a fantastic historic hotel originally built by George Merrick and lovingly restored a few years ago. It includes a golf course, restaurants, spas, tennis courts, and is a place you should try at least once. Old Grove House, 4104 Ventura Avenue, Miami, Fl. Tel: 305-666-5450. This is a private home in west Coconut Grove, within a short drive of The Gables and Coconut Grove. Venetian Pool. 2701 De Soto Boulevard. Tel: 305-460-5306. Owned by the City, this pool is on the National Registry of Historic Places. 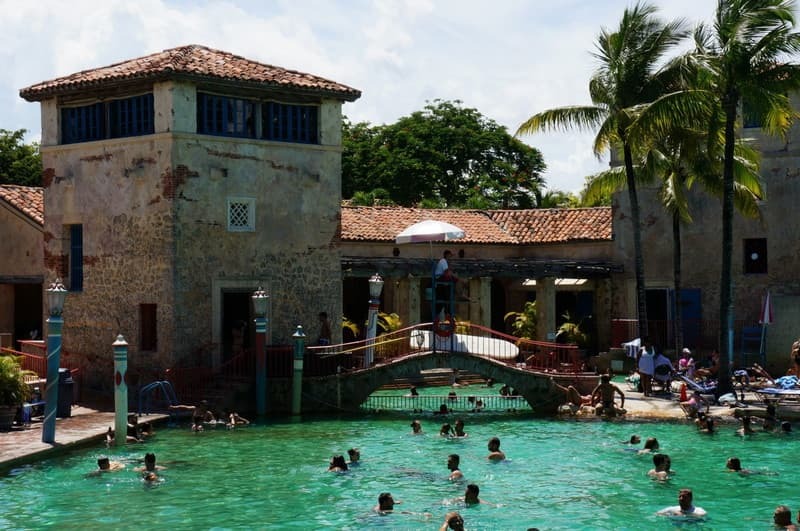 It is a spring fed swimming pool that used to be the quarry used to build much of Coral Gables. University of Miami. Just visit the campus and look at the beautiful buildings and landscaping. An original gift from developer George Merrick. Maroosh is my favorite Mediterranean restaurant in the Miami area. Many years ago, before I lived in Florida, I joined the Navy to see the world. I saw a lot of it from the deck of a pitching and rolling destroyer, but once in awhile we'd go ashore and I'd get to look around and enjoy the local culture, food and beverages. Among those shore-side visits were stops in Greece, Turkey, Egypt and Lebanon. I've had a fondness for good Mediterranean food since those Navy days of long ago. Maroosh has captured the authentic flavors of Mediterranean food right in the heart of Coral Gables. This cozy place with comfortable ambiance and middle eastern decor is great for lunch or dinner. It is owned by Samir al Barq. Samir was educated as a computer scientist, but gave it up many years ago to open this restaurant. It has been a big success from its very beginning. The food is all great, with all of my Lebanese favorites like baba ghannouj, falafel, couscous, anoush, kefta kabob and other shish kabobs, grape leaves, hummus, chicken wings and fried or baked kibbe. For meats they have chicken, fish, lamb and beef.They also have lots of good soups and salads, including Tabouleh and Greek Salad. I love their Jerusalem Salad with chopped cucumber, green pepper, tomato, parsley and a lemon tahini dressing. Although I am not a dessert person, I sometimes cheat and have one of the great ones at this restaurant. I especially like their baklava - thin sheets of filo filled with walnuts. I have a friend who really likes their cassata al cioccolato - classic Sicilian chocolate and vanilla gelato with fruit candies. 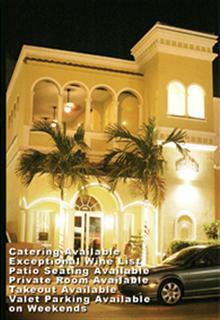 Prices are reasonable, especially when compared to other upscale dining establishments in Coral Gables. They don't serve hard liquor, but their wine list is extensive and good. They also have a good selection of domestic and imported beer. An extra feature on Friday and Saturday nights is the entertainment of the belly dancers. These dancers ply their traditional craft in good taste. It gives those who are so inclined the chance to see beautiful women in colorful costumes and excellent physical condition moving with seductive grace to Mideastern music. Samir has a wonderful memory, and after your first visit will remember you and what you like to eat and drink. You will enjoy your visit to Maroosh and will go back for more whenever you visit Coral Gables. Maroosh is open every day except Monday. Friday, Saturday and Sunday their hours are noon to 11:00 pm. Tuesday, Wednesday and Thursday they are open from 11:30 am to 10:00 pm. If you are on I-95, Exit 1-B, follow SW 3rd Avenue that becomes SW 22nd Street that becomes Coral Way. Follow it into the heart of town. If you are on SR-826, take the LeJeune Road exit. Go south to Miracle Mile (Coral Way).